Along with these areas for improvement, Latin American governments should take advantage of the new joint China-CELAC Forum to seek ways to diversify the region’s export trade and increase its foreign direct investment with China. The rebalancing of China’s economy, noted earlier, should present opportunities for growth in the region’s manufactured exports given the anticipated strengthening of the renminbi and a rise in domestic wages and consumption. 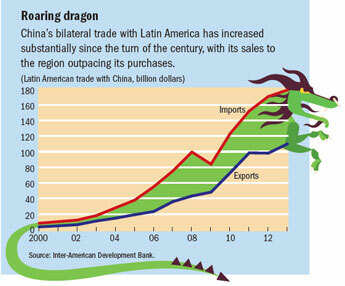 Over time, such efforts should enable Latin America to benefit further from its economic and financial links with China, which has become one of its key partners in the global economy. Anthony Elson teaches at Duke and Johns Hopkins Universities and is the author of Globalization and Development: Why East Asia Surged Ahead and Latin America Fell Behind. 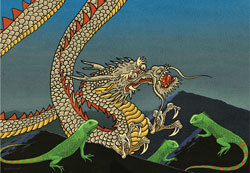 Gallagher, Kevin, and Roberto Porzecanski, 2010, Dragon in the Room: China and the Future of Latin American Industrialization (Palo Alto, California: Stanford University Press).